Many of us already live in the realm of our own self-consciousness, wondering what it would be like to walk around with eyes in the back of our heads or to exist as a fly on the wall. When digital and physical spaces merge, our notions of identity and self-awareness change in unpredictable ways. This apparatus is a platform for augmented reality applications that allow the wearer to see from a third-person viewpoint, creating a digital ‘out of body experience’. The whole system is wearable, interfacing with video googles and a smartphone camera. 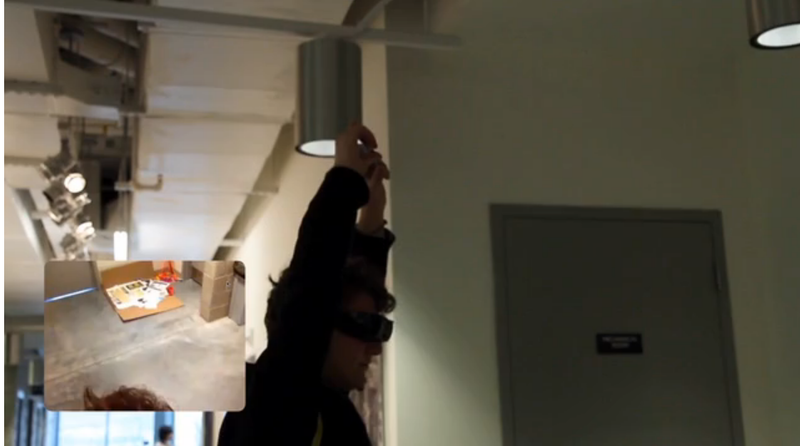 Video from the camera streams over a wireless network to the goggles, where it fills the wearer’s field of view.